Hi! Welcome to the Cafe’! Today we’re talking about our heroes. You know, the people that have influenced us in some special way. Do you have a hero? Well, my hero is Susan Butcher. She’s the four time winner of the Iditarod Dog Sled race. She’s up there on my heroes list with Sgt. Preston of the Yukon and his dog King. Susan was an amazing athlete. 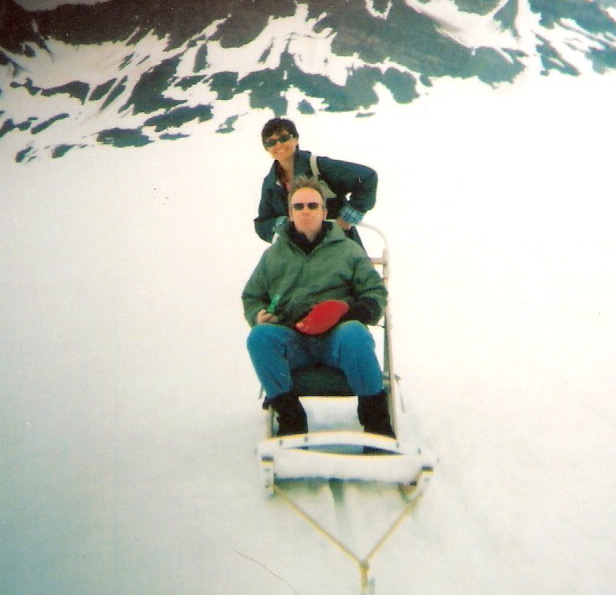 In fact, she is the person who influenced the Alaskan slogan, “Alaska…Where Men are Men and Women Win the Iditarod”. Funny, huh? Alaskans have such a funny sense of humor! Oh, by the way, just in case you didn’t know, the Iditarod is a grueling dog sled race that starts in Anchorage and ends in Nome, Alaska, a total of over 1150 miles traveled in 10 to 17 days. The trail was originally used, beginning in the 1920’s, when settlers traveled the thoroughfare following a goldstrike. Later, the trail was used for transporting food and mail from location to location. 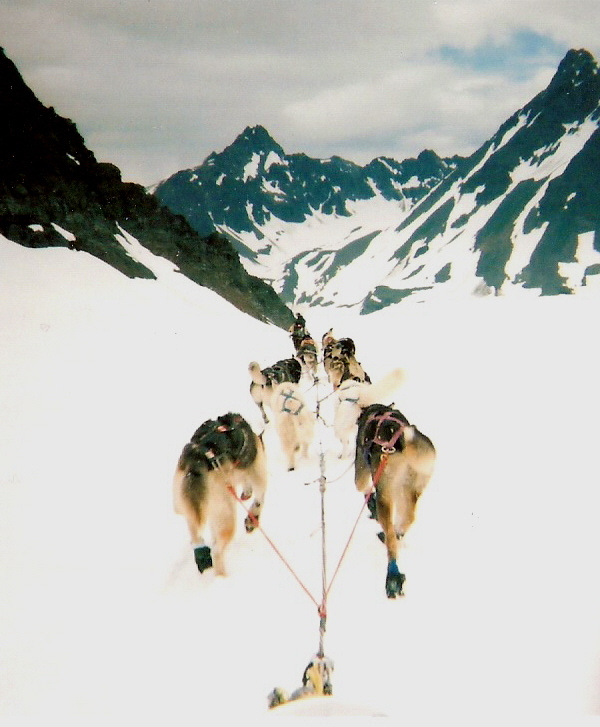 In the winter, travel was typically via dog sled. Don’t you just love those enthusiastic and happy sled dogs? Here’s a thought…how about if we make some healthy doggy treats? After all, our pups are about to run the “The Last Great Race on Earth” (or at least dream about it like my own dog does during his many naps…). Preheat your oven to 375 degrees. Combine all ingredients, except the water, into a large mixing bowl. Add water, a little at a time, while mixing ingredients with your hand or a pastry cutter. 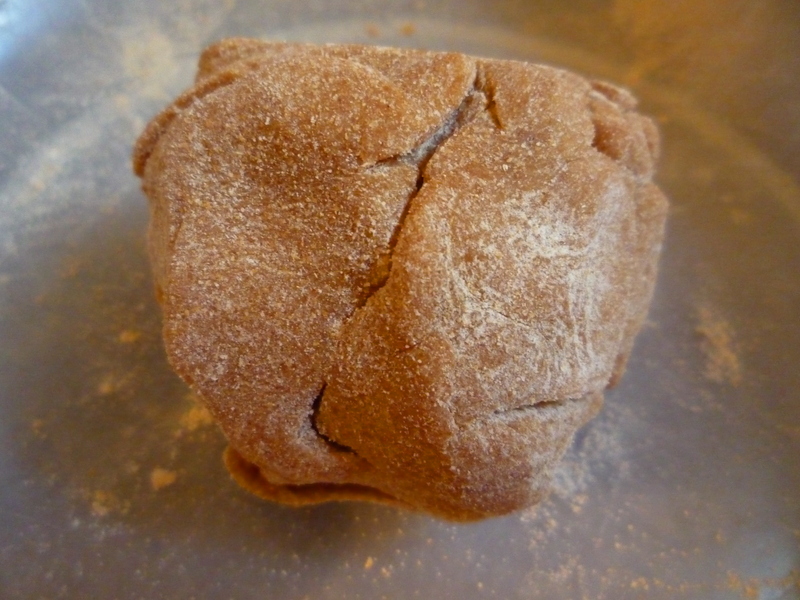 Continue to add water and mix until mixture holds together and can be formed into a ball. Turn the dough out onto a floured work surface or pastry board. 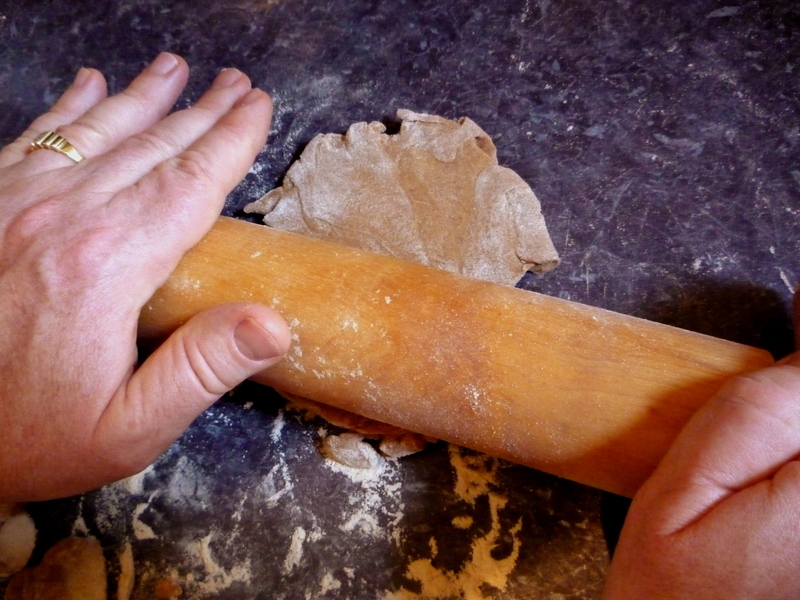 Roll out dough with a rolling pin until approximately 1/4 inch thick. Cut into shapes with a cookie cutter. 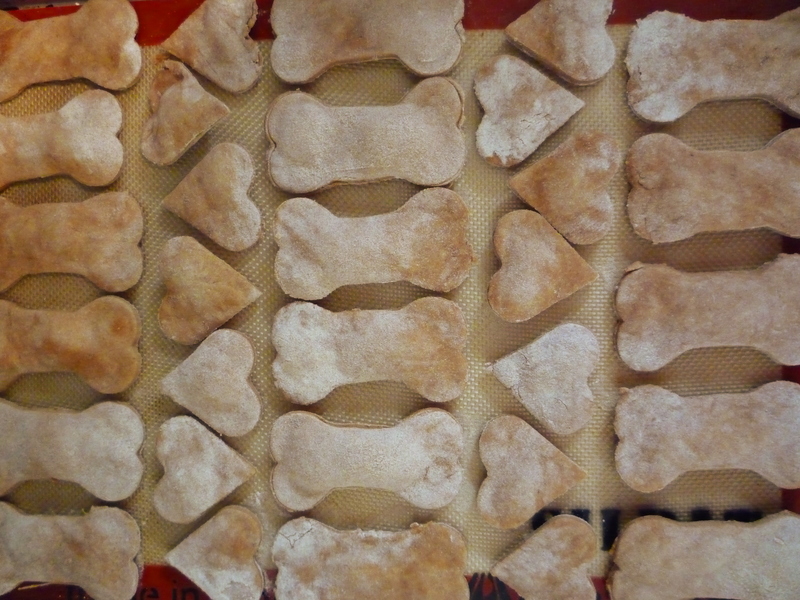 Dog bone and heart shapes are always fun for your canine friend (and, on the most part, for you!). Place onto a cookie sheet and bake until light golden brown (approximately 15 minutes). 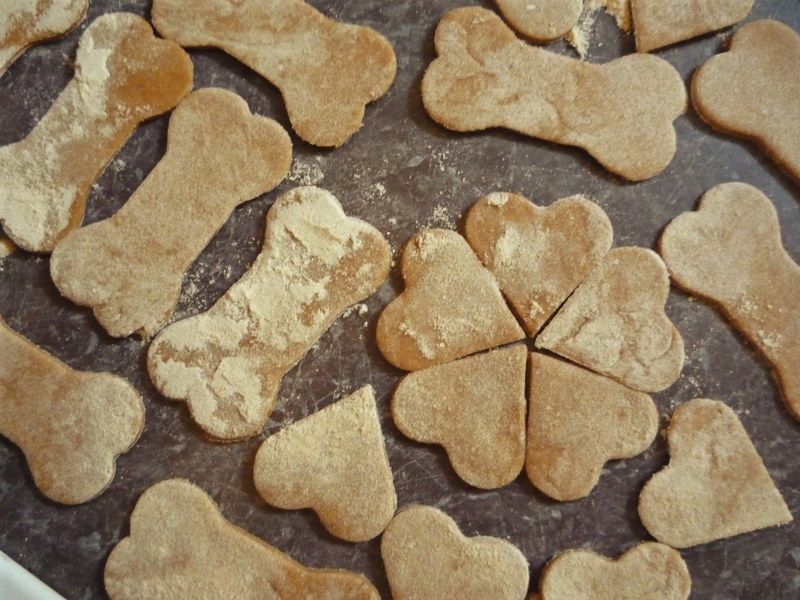 Cook’s Notes: Thanks to “R” for sharing his favorite dog treat recipe with us. He’s a real doggy chef and musher for sure. Traveler’s Notes: Don’t forget to attend the March start-up of the “Last Great Race on Earth” in downtown Anchorage every year.